SlamData lets analysts easily run SQL queries and build reports directly on data stored in MongoDB, no data relocation required, and it’s open source too. In the world of Big Data, bare metal is king. Combining the best of both worlds, now you can take advantage of both the flexibility of the cloud and the performance of bare metal. Read the 3 reasons why this is a game changer for your Hadoop environment. A look at some of the problems with big data, samplings, and ‘instrumenting’, from Dr. Dmitri Williams, CEO of Ninja Metrics. Specifically, the Apache Derby-based Splice Machine and the EXASolution analytic database. 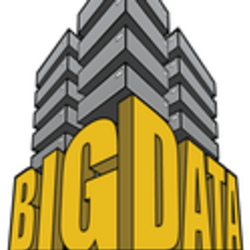 Is The 'What Is Big Data' Question Finally Settled? Researchers at Cal Berkeley recently asked dozens of data scientists and industry leaders to try and define what ‘big data’ is.